The Stardoll's Next Top Artist contest is back! You can create some design and submit a picture of it until August 4th. 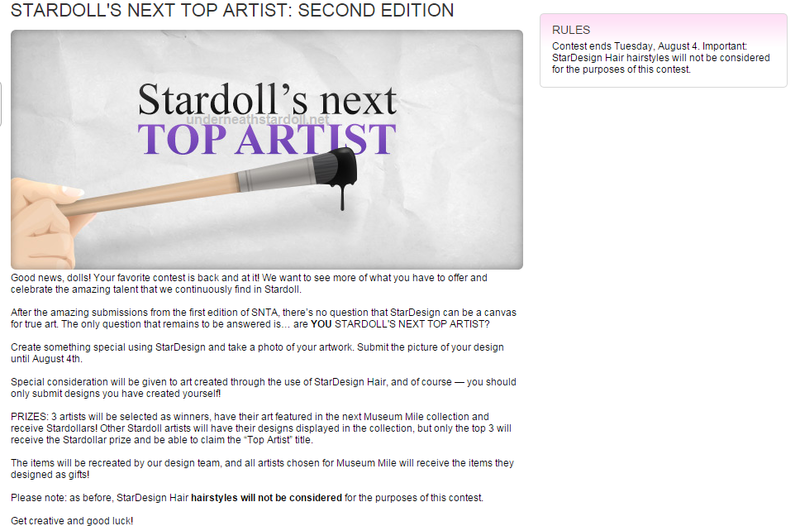 But remember, hairstyles will NOT be considered and Stardoll will give special consideration to artwork created with hairdesign! As last time, 3 winners will receive stardollars and their artwork will be featured on a Museum Mile collection together with some other artworks selected to be in the collection, but only the top 3 will be the winners of the contest! Will you submit any creation?